The national governing body announced new youth club events to replace regional level high school competition. As they continue to revamp their competitive structures at various levels of play, USA Ultimate announced last week plans to dramatically alter the landscape of youth-based competition starting in 2017. Aimed at “increas[ing] quality playing opportunities and continu[ing] to facilitate growth at the youth level,” the changes entail removing the existing high school regional championships in favor of an expansion of youth club regional tournaments. With this change, state-level championships will become the highest level of competition for high school-based teams. Currently, 27 states host high school state championships in at least one division of play, though USAU boasts of high school activity in six additional states. While not yet finalized, USAU expects the new youth club regional tournaments “to take place in late June or early July, primarily to avoid conflict with the high school season.” They will continue to host their increasingly popular Youth Club Championships and envision the regional events eventually serving as qualifying events for tiers of that national tournament, mirroring the structure of adult club divisions. USAU expects that high school-based teams would be eligible to participate in this expanded club structure, though with fewer roster restrictions. Given the varying schedules of high schools across the country, USAU believes this new youth structure will allow states to schedule their competitions at the discretion of the local organizers and state youth coordinators and no longer tied by the high school regional tournaments set up by USAU. Based on their “continued dialogue with key members of the community,” USAU claimed that “virtually no local organizer” believed the removal of high school regional tournaments would discourage future school-based participation. The governing body also believes that a club-based model is better suited for regional and national youth competition because club teams tend to travel more due to their higher level of commitment and have fewer age or geography-related roster restrictions, which will increase accessibility for club play at the regional level, promote growth at local levels, and provide better, longer-term opportunities for player growth and development. USAU states their next steps will be “to evaluate the geographic scope of club regional events and determine the appropriate number of tournaments alongside current youth leaders in the community,” with further details to come in the future. The changes are likely to be highly debated among both players and leaders of existing youth ultimate leagues. Eric Williams is a youth reporter for the Southern Region. His passion for youth ultimate began his senior year of high school. Eric flipped from playing in high school to coaching his alma mater, Independence High School, for four years. He plans to graduate by the end of 2016 from the University of Tennessee-Chattanooga and pursue becoming a full-time, multi-media journalist for the sport of Ultimate. 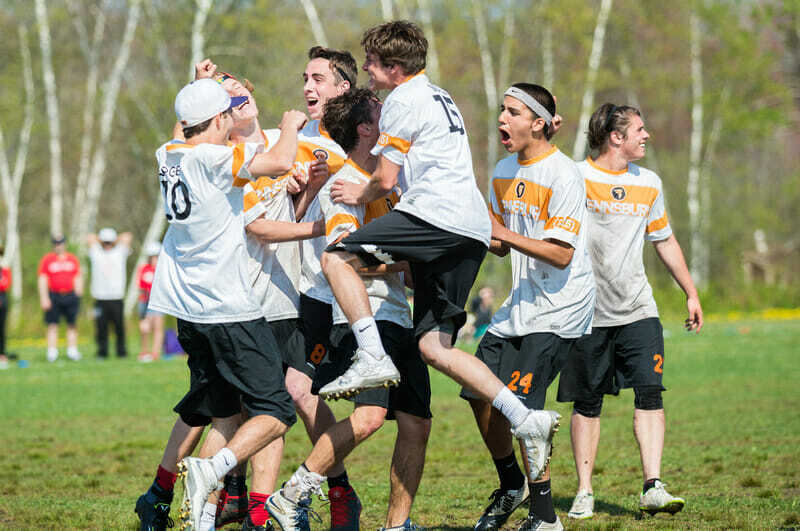 How Should We Restructure Youth Ultimate? Comments on "USA Ultimate Youth Division Restructure Coming In 2017"